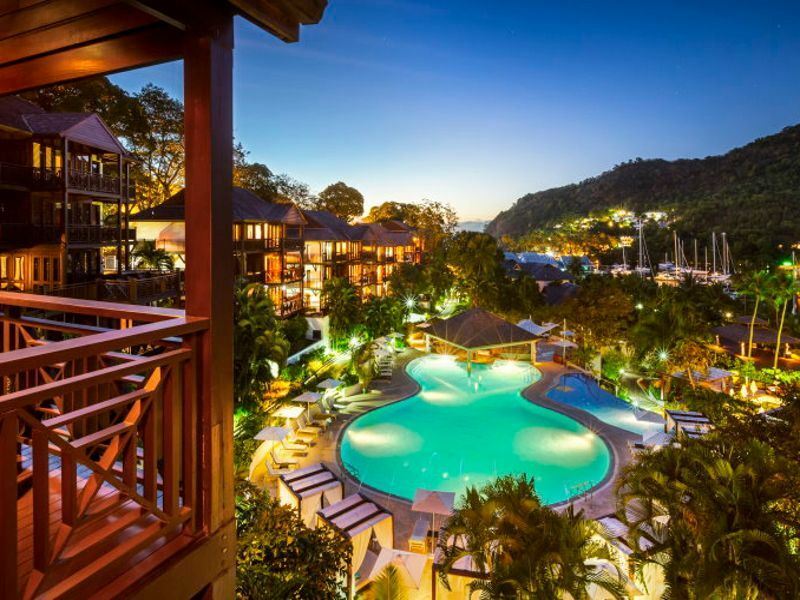 For a lavish Caribbean getaway, St Lucia is the island to escape to. If you are looking for a break full of indulgence and sophistication, then look no further as this island has it all. Jet off in style with Virgin Atlantic, Upper Class will meet all your requirements offering a luxury travel experience like no other. Take the stress out of travel right from the start with a chauffer car service from home to the airport and relax with a drink in the Clubhouse lounge. Once onboard the luxuries continue, champagne, fully flat beds and a bar; perfect for perching at for a mid-flight holiday toast. Dine in style in your own ‘suite’, choose your meal from the Upper Class menu and indulge in what’s to come. If you plan to snooze, ask the crew to wake you before you arrive so you can feel ready and refreshed to really start your luxury escape. Priority arrival means you will be one of the first to disembark the aircraft and collect your luggage. The BodyHoliday is a sparkling spa retreat ideal for those looking for a more active break, although relaxing is still high on the agenda here. Practice yoga on the beach, join a daily Pilates or Tai Chi class or visit the award-winning spa for a revitalising treatment. For more energetic activities, archery, tennis, watersports and scuba diving will keep you on your toes. Grab a book and take it easy at the hotels secluded cove or chill out by one of the three pools. Stay at in the Penthouse Suite for the ultimate in indulgence, an elevated bathtub with views of the ocean and a private Hamam and steam room complete this luxurious room. What’s more a pillow menu will ensure you get your beauty sleep ready for more relaxation when you awake. Head to the Clubhouse for afternoon tea and dine on lobster at TAO restaurant. For something a bit different the Wine Salon has a wine tasting program included in the all-inclusive package. Guests have the opportunity to sample fine wines paired with cheese and fruit, great for an alternative evening experience. 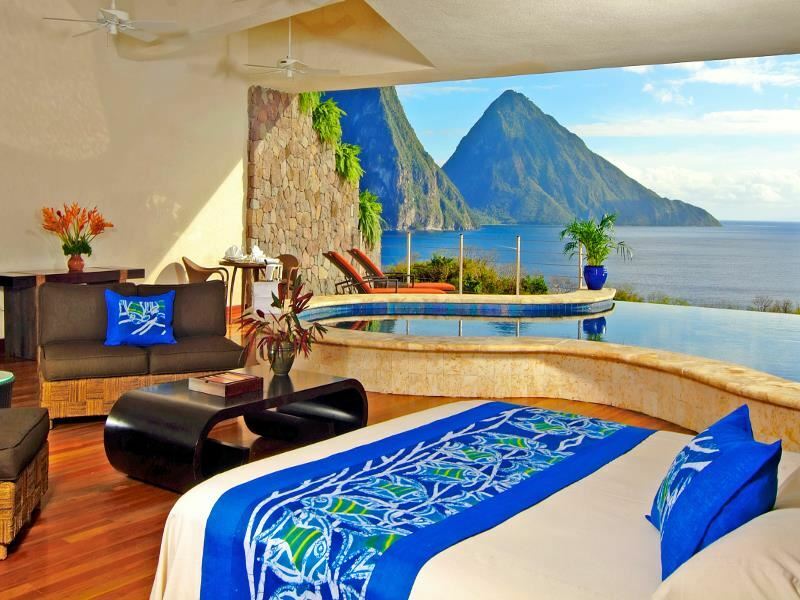 Paradise awaits at Sugar Beach, rooms with private plunge pools, stunning views of the Pitons and shimmering Caribbean waters will make your luxury holiday one to remember. Visit the Rainforest Spa for a bamboo massage or hot rock therapy in a tree house treatment room. Stop by the Cane Bar and ask the resident ‘rummelier’ to help you choose from the vast rum selection, this Caribbean liquor is a must to help you get in true holiday mode. The resort’s PADI dive centre is perfect for budding divers and novices who want to experience the incredible reefs and marine life which this part of St Lucia is well known for. Other on site watersports to look forward to include paddle boarding, sailing and kayaking. 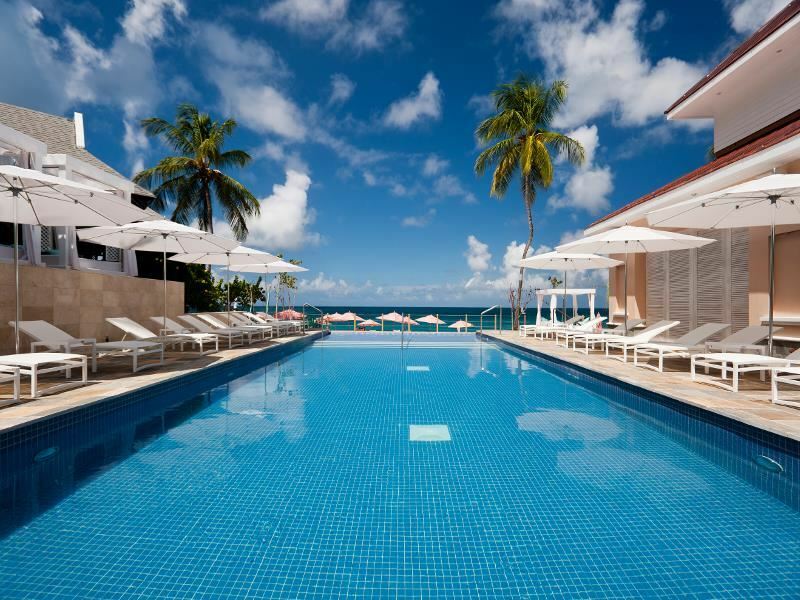 All the rooms at Sugar Beach have their own plunge pools so you can really indulge in some private luxury. For a secluded and stylish retreat like no other Jade Mountain is the answer. This intimate boutique resort has just twenty-nine rooms or ‘sanctuaries’ as they are named here. Choose Star or Sun Sanctuary for a room complete with private infinity pool or a Sky Suite with private Jacuzzi. The rooms here have an interesting twist; the fourth wall is completely missing. This allows full appreciation of the mesmerising views whether it be from the plunge pool or bed, there is nothing quite like this. Furthermore, there are no televisions, phones or radios and Wi-Fi is only available on request so there is no choice but to completely switch off, relax and absorb those breathtaking views. Take a stroll down the hill to Anse Chastanet beach, azure blue waters and coral reefs just right for snorkelling and golden sand perfect for kicking back with a book and catching some sun wait for you here. 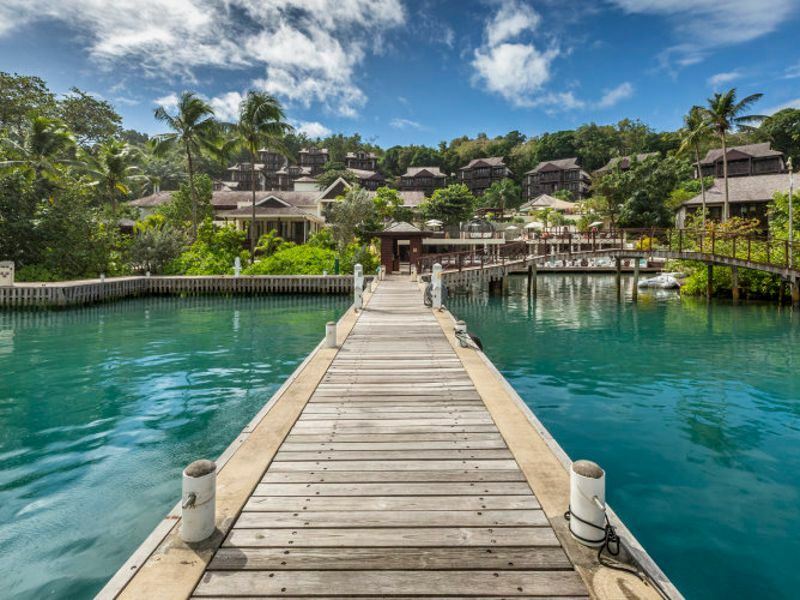 s The chic and stylish Capella Marigot Bay is surrounded by lush hillsides and the sparkling waters of Marigot Bay marina. The two infinity pools lined with cabanas are just right for relaxing with a cocktail delivered by a pool attendant. While there is no beach access there is a complimentary ferry to a nearby beach. Treat yourself to a stay in a penthouse suite, nestled into the tropical hillside the jaw dropping views of the bay and surroundings can be admired from the private hot tub. Aurgia Spa is the perfect place to unwind with a steam inhalation room, Jacuzzi and sauna cabana plus relaxing treatments to really get you in holiday mode. Have a pre dinner drink at the Rum Cave and watch boats dock as the sunsets followed by sushi at the Brut Bar. Thinking about the best way of getting around St Lucia and where to stay? Why not take in the island's incredible scenery on a helicopter tour. Fly over the southern part of the island for spectacular views of The Pitons. 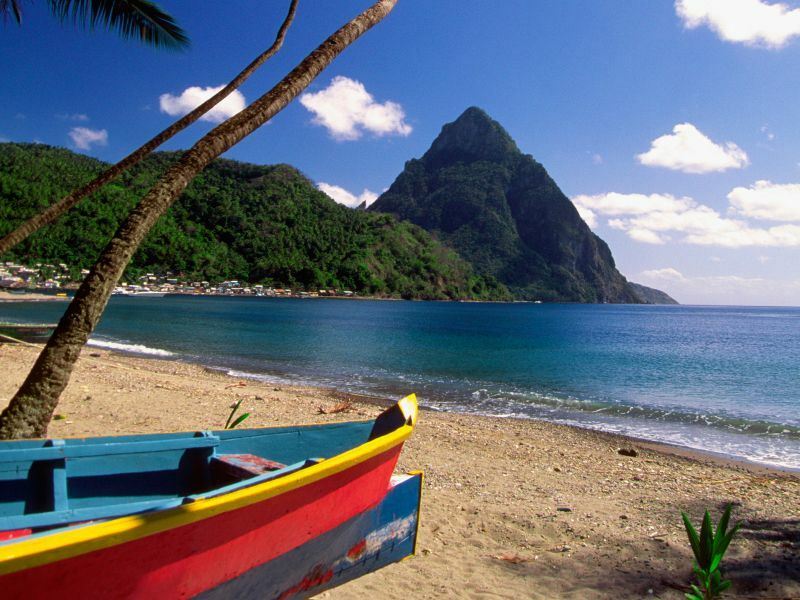 The twin volcanic peaks named Gros and Petit Piton are well known natural landmarks on the island. Look out for aerial views of Soufriere Volcano, rainforests, mountains and the beautiful coral reefs. This is an exhilarating and fun way to see all of St Lucia’s natural beauty from a totally different perspective. For a tropical treat visit the Rabot Estate, home of the British chocolatier, Hotel Chocolate. The Tree to Bar Experience allows you to hand select cocoa pods from the cocoa groves and make your own chocolate, along with a tour of the estate and lots of tasting. For a special lunch or dinner try Boucan Restaurant on the estate with an exciting cacao themed menu. To witness St Lucia’s underwater beauty don a mask and snorkel or for those feeling a bit more adventurous get up close and personal to the marine life on a scuba dive. Anse Chastanet marine reserve is renowned for its majestic reefs and colourful fish. Dive straight off of the beach or climb aboard a boat for wreck dives. Diamond Falls Botanical Gardens makes for a great day out, follow tropical trails to the waterfall and take a dip in the therapeutic waters of the mineral baths. For a more energetic activity hire a private guide and hike the Pitons, not for the faint hearted it is a strenuous climb but the views from the top are well worth it. It takes around 2 hours to reach the summit of Gros Piton and at 786 metres in height you will feel like you are on top of the world. Finish off the day in style with a champagne sunset cruise, sail along the west coast and sip champagne as the sun goes down. Watch out for the ‘green flash’ on the horizon as the sun disappears and relax to the soothing sounds of the waves lapping at the bow of your vessel. 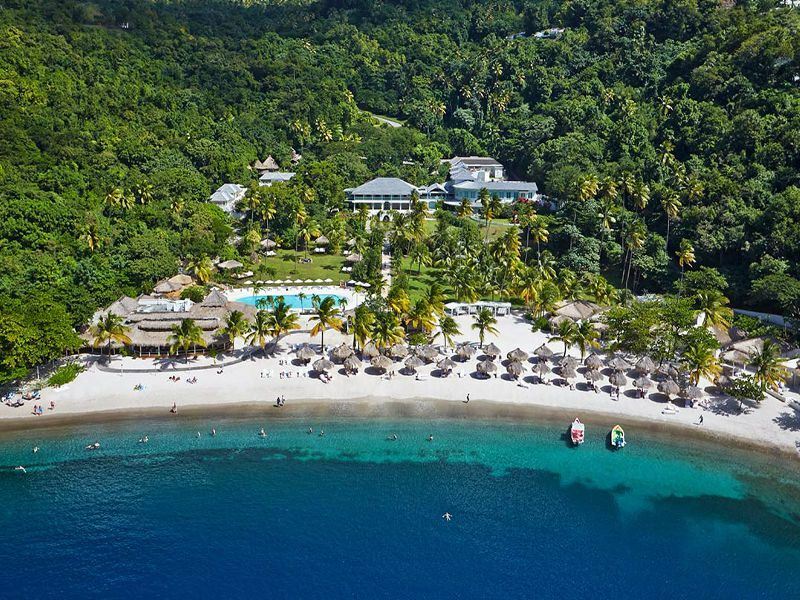 Sun drenched beaches with azure blue waters, lavish lunches, champagne boat cruises and stylish resorts make it easy to see why St Lucia is the perfect island paradise to choose for a luxurious break. This tropical getaway has an added touch of barefoot chic to escape it all in style.